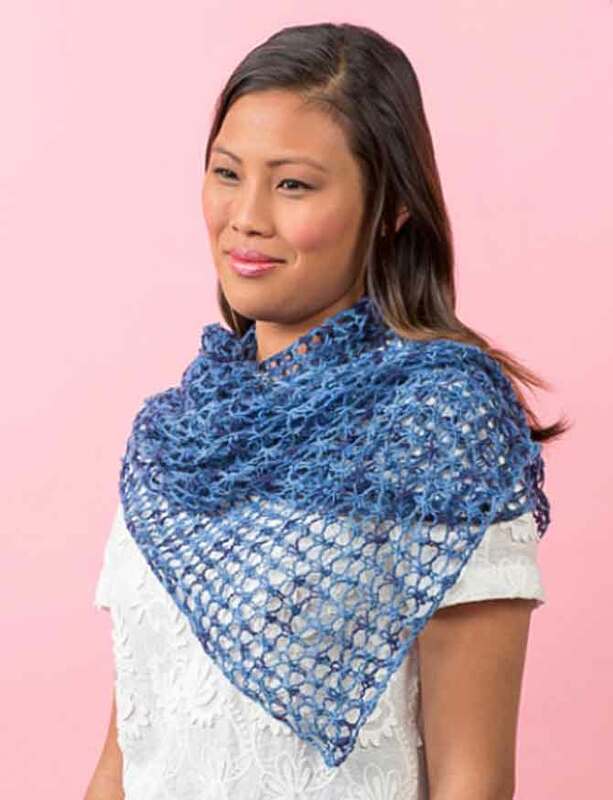 With the warmer weather slowly creeping up on us, it’s the perfect season for knitting shawls. The Red Heart pattern, Laid-Back Shawl, is considered an easy pattern and the perfect light accessory to go with any summer outfit. I’m thinking in the office particularly when the air conditioning is on and it starts to get a little too cool. Or those breezy summer nights when you’re dressed up and wish for a little wrap around the shoulders just so. This scarf is knit on a 6mm or US 10 needle; the yarn calls for a size US 5 [3.75mm]. The open mesh construction has the dual benefit of working up really quickly and allowing air to pass through. Mesh-work construction is super fun to knit, but I’ll warn you that the first few rows always look terrible! You need to believe in the pattern and keep going. When I first started knitting lace and mesh construction patterns I would rip them out because they looked terrible. Then I was listening to a podcast and they mentioned the fact that this type of knitting always looks terrible until it’s blocked. A pattern like this isn’t quite the same, but the first few rows you’ll look at it and think, “wow, am I doing this right?” Trust me, you are! It’s simply the way this technique works. The chart included with the pattern is a very easy one as well. The repeat consists of four stitches. 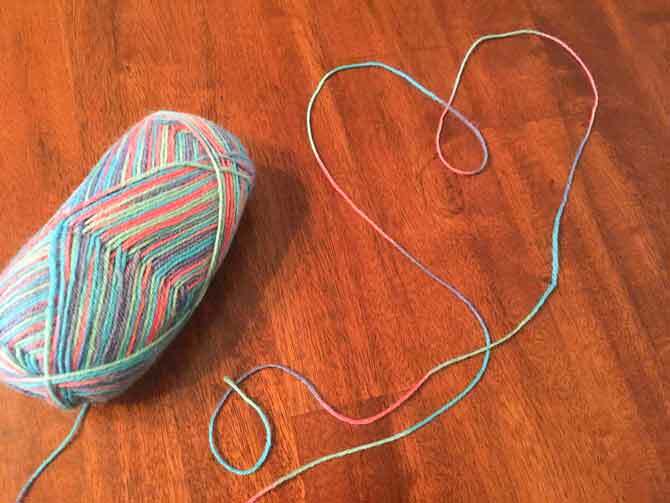 The most complicated stitch in the whole pattern is a SSK; which is a basic decrease. 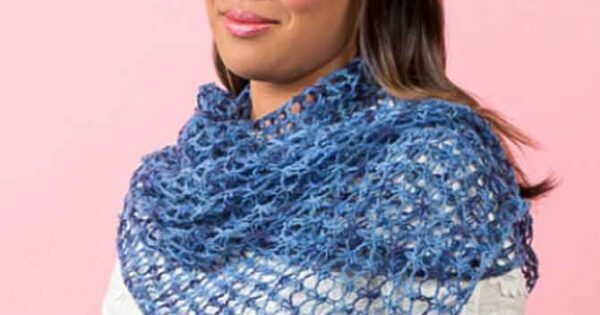 This is the kind of pattern perfect for a beginner jumping into mesh and lace, or a seasoned expert looking for an easy and pretty knit. A shawl like this can also double as a scarf as well. I’m all about the versatile clothing. If I’m going to put work into knitting something, I’m going to make sure it’s either something I’ll wear all the time, or something that can be adapted to different temperatures and situations. Even in the summer, nights get cool, this is the ideal garment to carry with you on an outing with uncertain temperatures. You can drape it around your shoulders for warm weather, wear it all together as a scarf in cooler temperatures, and tie it onto your purse when it’s hot a humid. With spring in full swing and summer well on it’s way, I’m looking forward to seeing the summer knitting everyone has planned. 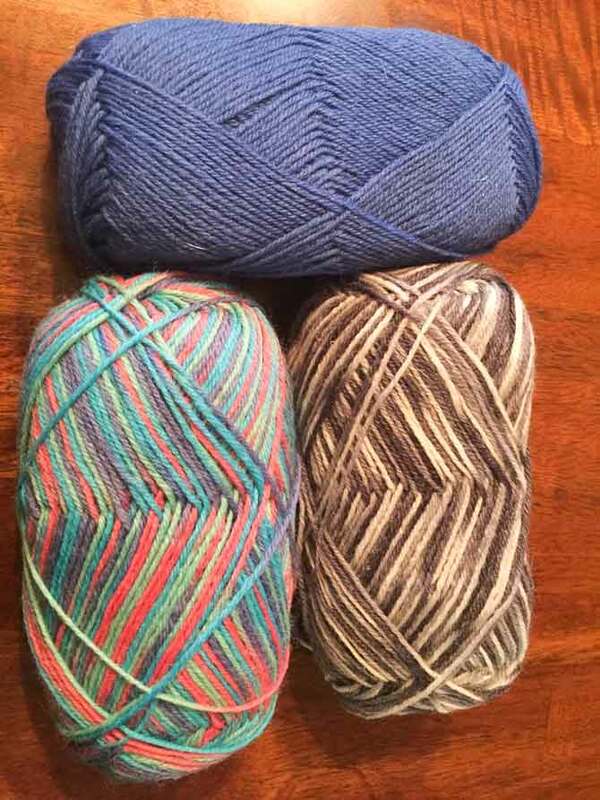 Make sure all your yarn is easy to wash, Heart & Sole is machine washable, and you definitely want all summer knitting to be easy to wash. Summer knitting is always so light, delicate, and well worth the wait.